Thursday May 22, 2014 - 21st century slave trade - 24 Sierra Leoneans freed from Chinese fishing vessels in Uruguay - signs of beatings and general ill-treatment as travelling documents seized. We have been getting reports from international media outlets that 28 Africans have been freed, yes freed from their masters on whose fishing vessel they had been working. An AFP report quoted by many media outlets tells the story with this from Yahoo headlined - Africans held 'captive' on China-flagged vessel in Uruguay. The AFP report says - A group of 28 African immigrants were held in slavery on a fishing vessel off the coast of Uruguay, beaten and forced to work without pay, attorneys said Wednesday. The migrants, 24 of whom were from Sierra Leone and the rest from Ghana, said they had not been paid "a penny" since boarding the China-flagged vessel seven months ago. They were initially divided up between three fishing boats but, upon reaching Uruguay's territorial waters, they were transferred to a single vessel docked in Montevideo on Sunday and were taken to a hotel. Local news reports said that the men had signed on as contract labor to work on the ship, but that the ship's captain confiscated their passports and the crew held them captive. Most had embarked in Sierra Leone. The men have been examined by doctors who said they appeared to have the early symptoms of malaria and possibly tuberculosis. They have been referred to two Uruguayan hospitals for treatment. Now the question we want answered is - why has the fate of the men not being made public in Sierra Leone? What agency recruited the men who were clearly desperate to get a job at sea given the labour market in the country with jobs so hard to come by? What action has the Labour ministry taken to return these men home as well as carrying an investigation into how these men were recruited and allowed to leave the shores of their country? Getting work on board ships was quite an opportunity when law, order and less political interference and was seen as an opportunity for men, yes all were men, to earn something for the family as well as giving the lucky ones the opportunity to visit other lands. Residents of the Cline Town, yes Kanikay area in the east of Freetown know only too well the benefits to be derived when the sea men arrived back home at the Deep Water Quay - oops the Queen Elizabeth II Quay. The sounds of music from repaired and reactivated speakers were there to announce their arrivals and those who had visited the famous Matadi port in Congo would come back with 45 rpm records of music from the present DRC giving all those within earshot more than an earful of good and exciting music from the land of the sapeur. But back to the twenty four men on board that Chinese-registered fishing vessel. How soon can we see them back in Sierra Leone with their right wages paid in their accounts/pockets? Now is the time for the government to show just how much it cares for its citizens trapped into slavery so many miles away which brings us back to another incident of the sea. In late December, a vessel owned and operated by Beltship was involved in an accident in which at least twenty, if not thirty Sierra Leonean lives were lost. Beltship was gracious enough to issue a public statement citing the incident and promising to give further details. We are still anxiously awaiting the promised "further details". The government for its part, has still not told the public just how many people died in the Lungi sea incident, nor what its has been doing to compensate the survivors and the relations of those who perished. We have not heard a thing from those who sit in judgement - the compromised law enforcement agencies nor from the equally compromised judiciary. We cannot say we are happy with the decision by lawyer representing retired hundreds of old seafarers who are frustrated and totally disappointed, that after almost twenty years since they were declared retired, laid-off or redundant by international sea liner Elder Dempster Lines, they have still not been paid their end of service benefits! Though we hold no brief for the sea-battered and now system-battered seafarers, yet we are obliged to say a word or two as their plight is both a personal and national concern. We are aware that it is precisely to avoid such inhuman treatment of workers was the main reason NASSIT was set up. 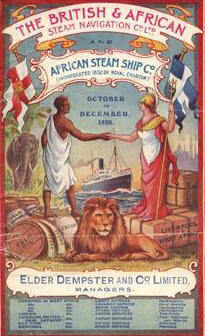 However, though we are also aware that at the time Elder Dempster Lines was operating in Sierra Leone, NASSIT was not yet established, it is out firm conviction that the Elder Dempster Lines’ representatives in Sierra Leone, Sierra Leone Shipping Agency (SLSA) should have long ago settled payment of these old but formally hard-working men. However, in the absence of such intervention SLSA on behalf of Elder Dempster Lines, the field has been left wide open to speculations over what could have caused the exceptional delay and whether the money owed the seafarers had not found its way into the wrong pockets. It is likely that the Government of Sierra Leone may be taken to the ECOWAS Court of Justice and Human Rights on behalf of 852 former seafarers whose payment of end of service by Sierra Leone Shipping Agencies has been in limbo for over 23 years. Regarded as a “gross violation of human rights” with respect to labour and social security, the Centre for Accountability and the Rule of Law (CARL) backed by a Sierra Leonean human rights lawyer, Sonkita Conteh, have, after a long period of despair, decided to shoulder the 23 year-old case, and to commit the government to genuinely look into the Justice Alghali Commission of Inquiry that was set up in 1991. Highlighting his stance during a press conference at SLAJ Headquarters, Lawyer Sonkita Conteh said that the Justice Alghali Commission was set up by the Government of Sierra Leone in the year to inquire into the general complaints forwarded by seafarers in respect of non-payment of end of service benefit by the Sierra Leone Shipping Agencies that acted as agents for the former Sierra Leone Elder Dempster Limited, among others, which operated in the country from 1920 till its closure in 1988. He said that in a bid to bring what he termed as “historical injustice” to terminus, he had, in a letter dated 10th October, 2013 required the government “to take necessary action to give effect to the recommendations of the Justice Alghali Commission of Inquiry. If no satisfactory action is taken by the government within 21 days, I have peremptory instructions to institute legal proceedings at the Community Court (ECOWAS) of Justice against the government”.